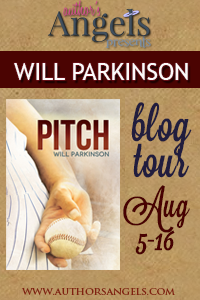 I am so very excited that Will Parkinson, author of Pitch is here with me for an interview today. When I found out that he was doing a blog tour for his new book, I jumped at the chance to host, because not only is Will one of my favourite authors ever, he's also one of my favourite people. So an opportunity to pick his brain a little bit? Yes please. I got to ask him about his writing, and then things got a little more personal. Pitch is an amazing story that really does have it all. I really can't say enough good things about it. The story is one that will have you reaching for the tissues. It is crafted in such a way that you can't help but find yourself completely immersed, like you're right back there in high school (as painful as that may be sometimes). But the best part of this book, is the characters. They are dynamic, and complex, and well-rounded, but more than that is how real they are. They could be your best friends from childhood. The author has a knack for creating wonderfully flawed characters and Pitch is no different. The boys aren't perfect. Far from it, and that's what makes them so relateable. This was one of the best young adult novels I've read, and touches on issues that are so important. Love, and friendship, and acceptance; doing the right thing and being true to yourself. Read it. You won't be disappointed. A word of warning though (other than to bring the Kleenex), make sure when you sit down to read it, you have enough time to finish it. You're not going to want to put it down. To celebrate the release of his novel Will is doing a giveaway. 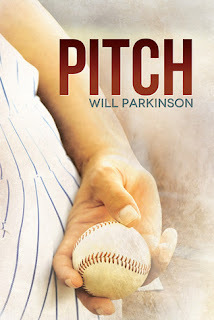 The Grand Prize is a signed copy of Pitch and a $25 gift card to the winner's choice of online book reseller, so make sure you leave a comment and enter below! 1. How old were you when you wrote your first story, and what was it about? When I was fourteen, I wrote “Free at Last”. It’s the story of Grant and Rusty, two young men in high school who find themselves embroiled in life and death. They were members of the wrestling team, and Rusty was forced out of the closet. Grant had to decide which side of the fence he stood on. 2. If you could say anything to the people who doubted you, what would it be? I hope you’re happy. You doubting me turned into me doubting myself for many years. You should have been there, giving me encouragement, setting a bar for me, pushing me to chase my dream instead of telling me that what I was doing wouldn’t amount to anything. 3. What have you found the most enjoyable part of writing Pitch? What was the most difficult? The most enjoyable part was getting my thoughts down on ‘paper’. It meant so much to finally know that I *could* do it, and that some people actually enjoyed what I was writing. The most difficult part for me was learning to slow my pace, to show more than tell, and to fill in visuals for someone who was reading the story. Working with a few authors, SJD Peterson, Eden Winters, and Kc Wells chief among them, I learned so very much about how to do that (even though I still have a long way to go). 4. Where do you write and what is your method? I usually write at my desktop computer. Occasionally I'll take the laptop to work when I know it'll be slow and do some there, too. 5. 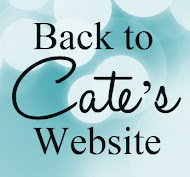 What advice do you have for new or aspiring authors? No matter what, don't give up. Not ever. If someone doesn't like what you're doing and can't give you some type of constructive advice, find someone else. You'll only end up disappointing yourself. 6. When can we expect the sequel to Pitch? :mumbles incoherently: I hope that’s soon enough! This is going to sound dorky, but when I was a kid, I really did want to write. I had story ideas in my head and letting them out on paper soothed me and made me feel less alone in my life. My characters became friends and family, and I let out things that were bothering me on the page. I've been in lust many times, but love? Only a couple. Sometimes it's hard to know the difference. 3. What was the best day of your life so far? My best day was when someone sent an e-mail and told me how much something I wrote meant to them. It was awe inspiring to know that I touched someone. 4. Who was your first kiss and how did it happen? His name was John. He was a doctor and used to hang out at a bar I went to. He invited me to dinner one day at his house. I'd been smooched before, but he held me in his arms and gave me my first 'real' kiss. 5. Who is on your elevator list? Sorry, I don't fantasize and tell. "Elevator list" is a cute term--I'll have to remember that one! Congrats, Will!! Great except! Can't wait to read this!! Just dropping in to say hi & read your awesome interview. Happy Release Week & congrats!